With ingredients like Sodium Hexametaphosphate, Sodium Benzoate and Potassium Sorbate, reading the ingredients list on the back of some snacks might conjure memories of chemistry lecture rather than give you a better picture of the food you’re about to eat. 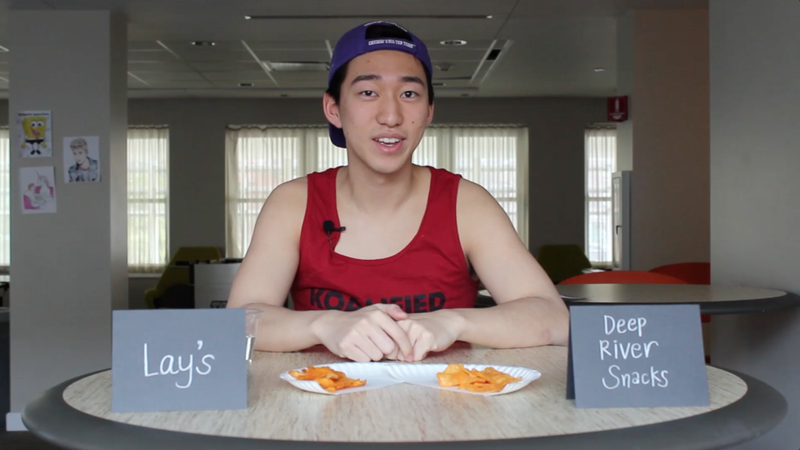 Four Northwestern students tried out the more natural versions of lemon iced tea, barbecue chips and blueberry yogurt and compared them to the common versions that have more additives. Although not all scary-sounding ingredients are necessarily bad for the body, it’s comforting to be able to recognize all of the ingredients that will be going into your body. One concern for many people, including those in the video, is the higher prices of healthier, more natural snacks. Unfortunately, natural ingredients are more expensive; but in a way, it can be seen as an investment in preventing chronic health problems that can arise from ingesting too much additives. However, there is also danger in feeling too good about eating snacks with mostly natural ingredients. It’s easy to forget that snacks are snacks, no matter the ingredients. Even the most natural potato chips are potato chips with fat and sodium, something to keep in mind before eating bag after bag.